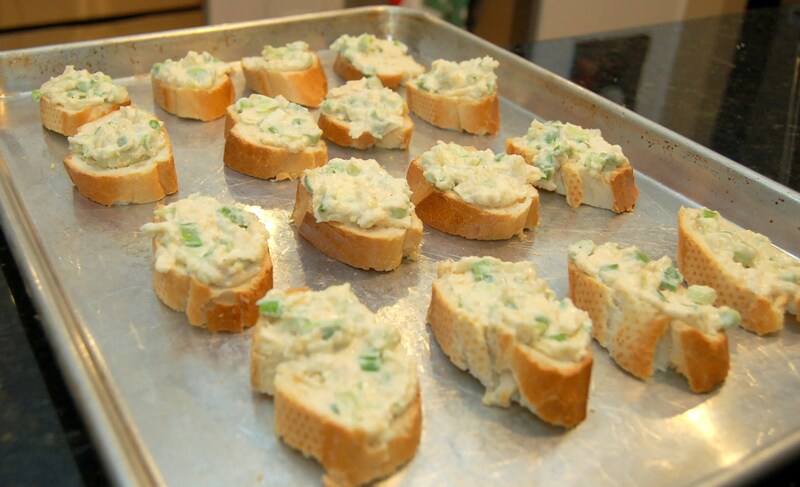 Here is the easiest and most delicious, simple, appetizer ever, and I have been making it to rave reviews for years. 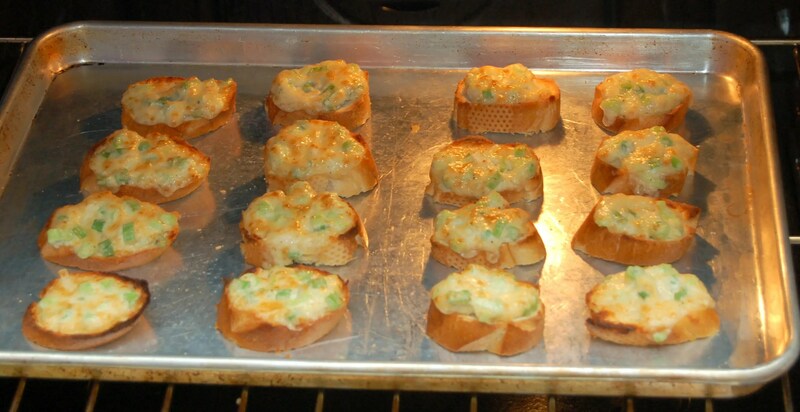 It’s called Onion Cheese Bites and it’s from a cookbook called Pam Cooks. Through the magic of the internet I was able to contact the author, Pam Collacott, and ask if I could share the recipe with our readers. To my delight, she said yes! While the original cookbook this recipe comes from is now out of print, Pam has another cookbook out you can order from her website www.pamcooks.com. It’s called Buns in the Oven: Great Recipes for Today’s Families and she wrote it as a fundraiser for an organization that she volunteers with that helps out young families at risk. All of the profits from the book sales go to the program. 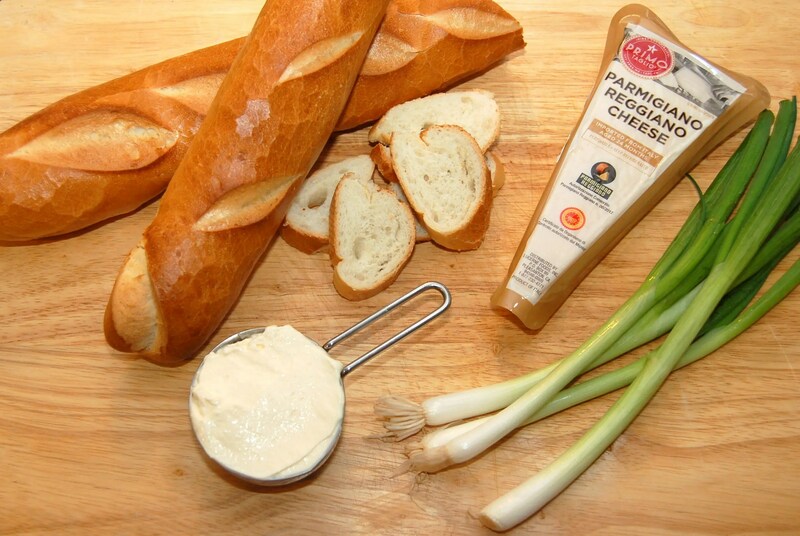 Just a few easy ingredients to make a delicious easy appetizer. Slice the baguette, not too thick! Spoon 1.5 teaspoons of the mixture on each baguette slice. Broil for 3-5 minutes until puffed and bubbling. Watch closely! 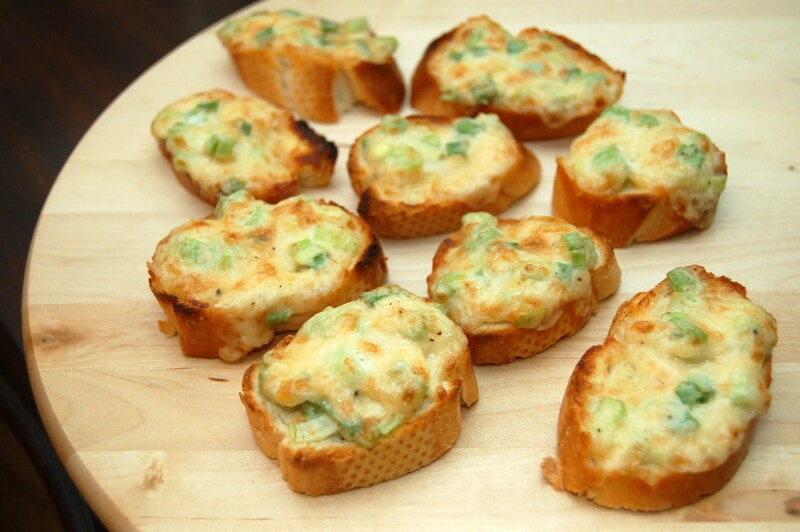 And there you have it, an easy and delicious appetizer perfect for guests! 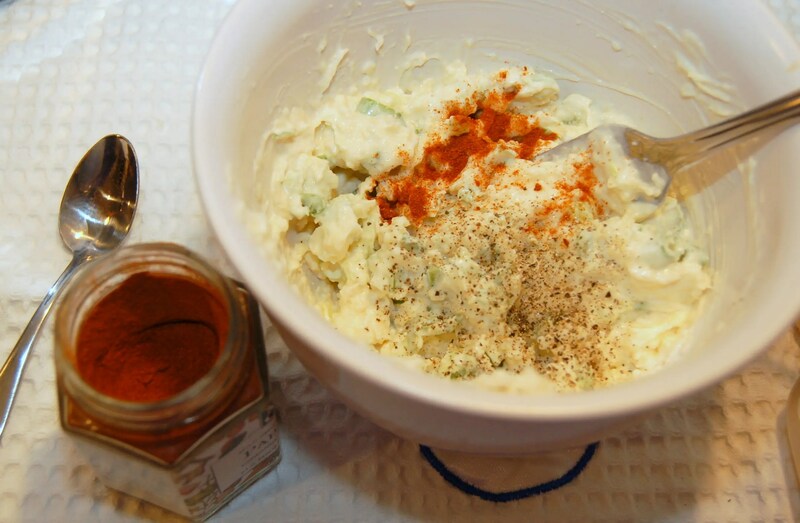 The most delicious, simple, and easy appetizer ever. Mix first 5 ingredients well. 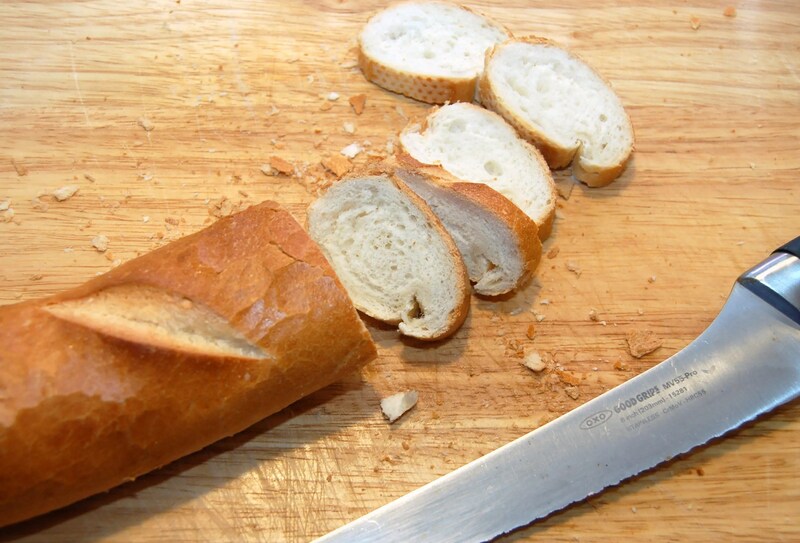 Spread about 1 ½ teaspoons of mixture on each baguette slice. Place on a baking sheet. Broil 3 to 5 minutes or until puffed and bubbly. Serve hot. 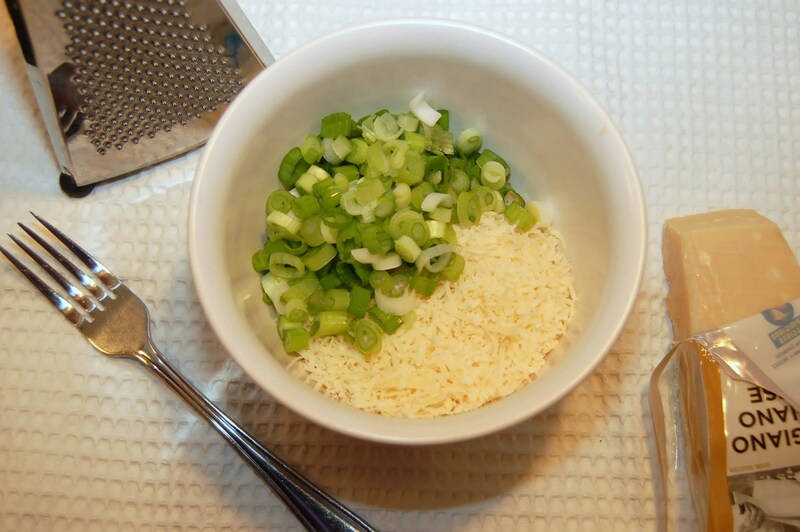 Make ahead tip from Pam – Assemble Onion Cheese Bites on a baking tray early in the day, cover with plastic wrap and refrigerate. Pop them under the broiler just as your guests arrive and you’ll be munching in no time! This are just so yummy and easy to make! Great party addition to a finger food table. Thanks for the recipe, will add this to my collection of go to easy party foods. You’re welcome! I just made them again last week to rave reviews! It is such an easy recipe but oh so delicious! I just knew you and your family would love it! I made these today after seeing them on Facebook yesterday and had to come back to say how good they are, everyone Ioved them. I will be making them again! So glad you liked them! 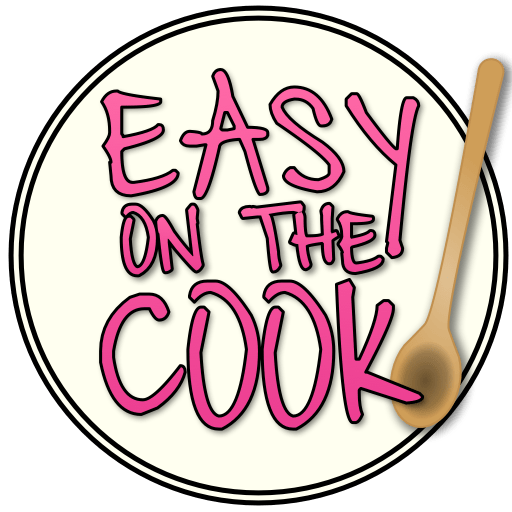 I love a nice easy recipe that tastes oh so good!